disappointed what he had done. Sorry, typing mistake ! I mean, "HS", not "HSC". I'm sorry. But what do you mean by HSC don't care about the facebook friends? 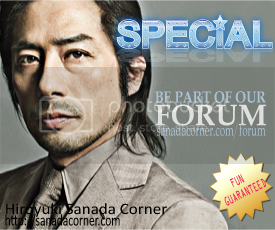 Do you mean Hiroyuki Sanada himself or our blog? 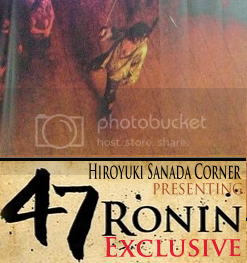 "HSC" is an abbreviation of "Hiroyuki Sanada Corner". And if you are talking about Hiro's facebook account, he doesn't have one, officially....it could have been a fake account! Yes, he did but now doesn't exist anymore ! But how could you be so sure? I mean how did you know it was him and not a poser? May I also ask you that how do you know that he did not have a facebook account ? His long biography was introced in English and Japanese and all the movies he acted since he was a kid. A fake account can not be done like that. I have seen a lot of blogs about HS and they all are not detailed enough. Well....apparently neither me nor you are pretty sure that he has/had an official facebook account. But if you are talking about the previous fanpage which was deleted....I'm sure that it was fake since facebook demanded an official confirmation from the page that it was the 'real' Hiro and since it wasn't genuine, it was deleted.